All you need to know about school meals! 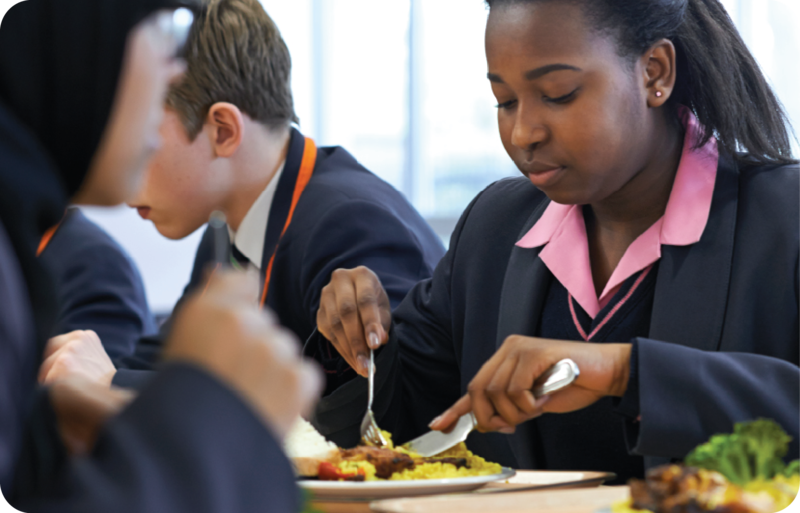 Lunch times are a great part of the school day and we strive every meal time to offer new, exciting and delicious foods for children and young adults to explore and enjoy. 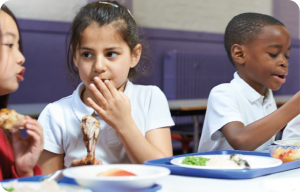 Of course, everyone has their favourites, but our school meals team in your school will always try to encourage even the fussiest to try new things. How do we decide what to put on the menu, on which days? We always reflect the seasons, with lighter dishes in spring and summer and more warming dishes in the autumn and winter months. We also know that traditional roast dinners are preferred midweek, so we tend to serve these on Wednesdays. And, of course, Fridays just wouldn’t be the same without fish and chips. We always have to make sure that each day offers variety and is balanced nutritionally according to the government’s food and nutrition standards. We’re always aiming to please and through our ‘We’re All Ears’ parent survey, every year we get feedback on how we can improve and make things even better - continuous improvement‘s a great habit of ours! We also use our love school meals parent database to get feedback around where you eat on the high street, what you eat at home and what you’d like to see more of on our menus - we even gave parents the chance to win family tickets to One Direction at London’s O2 as a thank you for their time in completing the questionnaire! The information we collect is fed into our food development and innovation teams who look at how they can implement changes into our new menus. Also, let’s not forget the students, who are asked for feedback in many different ways about what they’d like to see more or less of and they even help us to choose the designs of our menus through voting in our surveys and our interactive touch screens.